Gingerbread Modders Have Been Busy Bees! It’s been a short while since the Android Open Source Project was updated with the code for Gingerbread (aka Android 2.3). The Android Open Source Project, for those who are unaware, is a repository for all of the non-proprietary bits that make up Android, making it possible for anyone to download and build their very own Android 2.3 ROM. Since it’s release, developers around the world have been working on getting 2.3 on their phones. Google, on the other hand, seems intent on letting the Nexus S enjoy it’s time in the sunlight for a little while before sharing. This brought to mind many questions. How does an AOSP build differ from an Over The Air update that we would normally get? What are the risks involved in using this instead of waiting for Google? Who exactly is making these builds? Hopefully, I can answer some of these questions for you. I guess the best place to start is explaining the difference between AOSP and OTA. As I mentioned earlier, AOSP is missing all of Google’s proprietary bits. These are important, as they include things like the Android Market, Gmail, Talk, and basically everything else with a G or Google in front of it. Those parts are not open source, and Google doesn’t just give those away. That being said, there are clever people on the Internet that have these “gApps” for you to install with your AOSP build, but it must be done separately, or Google will email the developer with a take-down notice. There are a couple of steps involved if you want an AOSP build to work just like your OTA would. Additionally, whether you built the source yourself or got it from someone else, there’s a little bit of optimizing that’s needed to allow it to perform optimally for your device. Suffice it to say, this process is not for the faint of heart. However, in the end, it can be extremely rewarding. Most users who are not running their phone on some sort of “Stock” based ROM are running CyanogenMod, or some variant of their work. If you are used to the many features in CM6+, you may find the Gingerbread AOSP to be lacking, and want to move back shortly thereafter. 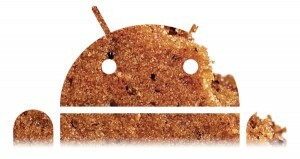 It’s important to note that whole CM team began working on CM7 as soon as the Gingerbread source was released. It’s a lot of work making sure that all of those features are working like they should, and at the same time utilizing the new tools Gingerbread has to offer. In short, CM7 is coming, but not tomorrow, and likely not next week either. Please don’t ask for an ETA either, the team is working very hard for our community and doesn’t like being asked when they’re going to release something. If you just cant wait to play with Gingerbread, there are other options at your disposal. I have used 4 different “builds” of Gingerbread so far, across 3 devices. While none of them are any more polished than the other, they also aren’t what I would call “fully baked.” So far I have tested Gingerbread on the Nexus One, Motorola Droid (Sholes), and the HTC G2. 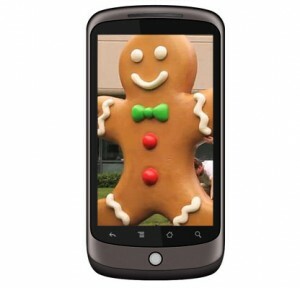 I will say that there are “flashable” Gingerbread variants available on the XDA Developers forum, as well as CyanogenMod team member Chris Soyars’ blog. Please be sure to read all of their directions and warnings before moving forward to avoid any problems with your device. Gingerbread development exists in varying stages across many devices, but none one of them are official releases, and none are supported by anyone but their developer, who may or may not be willing and able to help you.